Good evening everyone, and welcome to the The Graveyard Shift, which is hosted by Kotaku’s reader-run blog, TAY. This is a place to talk about life, video games, or anything else you want, so feel free to hop in and join in the topic discussion, or anything else you want. Then, when you’re done, feel free to dive into other articles on TAY andTAYCLASSIC. Feel free to check out Ani-TAY. Is this your first time on TAY? Then check out this handy TAYtorial! 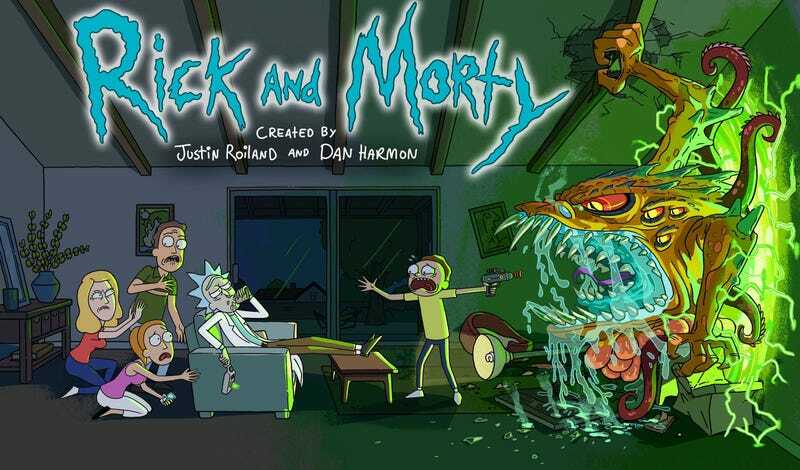 So, I’ve been seeing a lot of ads for Ricky and Morty, and I had no clue what it was about. The animation didn’t really appeal to me. Then one day, I said why not? Gave it a shot. First few episodes, I didn’t quite get the appeal, the characters annoyed me, but the premise was interesting. And then before I knew it, I was all caught up. The latest episode is by far one of my favorite, and now, I can say I like the show. Every now and then, you may come across something unknown. At first you may hate it, or you’re mostly uncertain about it. But for whatever reasons, you decide to push through, and learn a little more. Before you know it, you’ve invested more time in it than you thought. And now, you’ve grown a bit more fond of it. Tonight’s Topic: Something you may initially dislike or uncertain about, but end up growing on you.